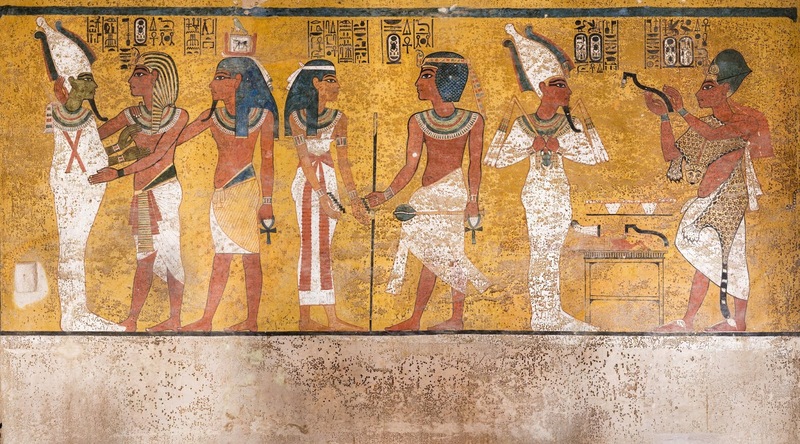 The Getty Conservation Institute announced today the completion of almost a decade of research, conservation efforts, and infrastructure improvements at the Tomb of Tutankhamen in Egypt, one of the best known cultural heritage sites in the world. The project—a multi-year collaboration between the GCI and Egypt’s Ministry of Antiquities—focused on conservation and the creation of a sustainable plan for continued management of the tomb. "Conservation and preservation is important for the future and for this heritage and this great civilization to live forever,” says Zahi Hawass, Egyptologist and former minister of State for Antiquities in Egypt, who also initiated the project with the GCI. When the tomb was discovered in 1922 by archae­ologist Howard Carter, under the patronage of Lord Carnarvon, the media frenzy that fol­lowed was unprecedented, and in many ways continues to this day. Carter and his team took 10 years to clear the tomb of its treasure because of the multitude of objects found within it. While the objects Carter’s team catalogued and stabilized were housed and secured, the tomb itself became a “must-see” attraction, open to the public and heavily visited by tourists from around the world. The tomb still houses a handful of original objects, including the mummy of Tutankhamen himself (on display in an oxygen-free case), the quartzite sarcophagus with its gran­ite lid on the floor beside it, the gilded wooden outermost coffin, and the wall paintings of the burial chamber that depict Tut’s life and death. The great demand for entry to the small tomb gave rise to concerns among Egyptian authorities about the condi­tion of its wall paintings. Humidity and carbon dioxide generated by visitors promotes microbiological growth and can physically stress the wall paintings when the amount of water vapor in the air fluctuates. It was thought that brown spots—microbiological growths on the burial chamber’s painted walls—might be growing. Another problem in the tomb was physical damage to the wall paintings. This included scratches and abra­sion in areas close to where visitors have access, and inadvertent damage likely caused by film crews with equip­ment operating in the chamber’s tight spaces. Dust carried by the shoes and clothing of the tomb’s many visitors had also settled throughout, creating a gray veil on the uneven surfaces of the walls. This obscured the brightness of the paintings and increased the need for cleaning and the subsequent risk of additional paint loss.